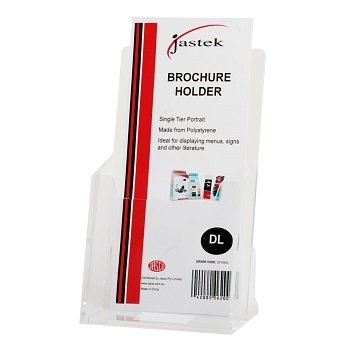 Quality Single Tier DL (1/3 A4) Brochure Holder. 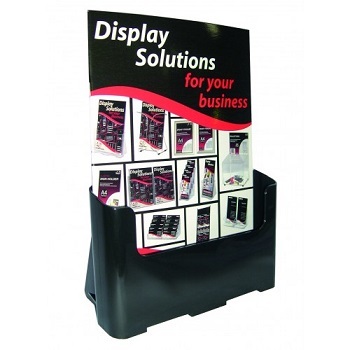 Great for displaying brochures and pamphlets at trade shows, office front desks, banks and retail stores. 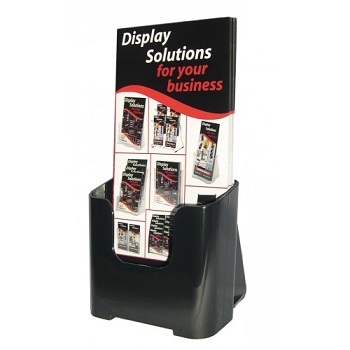 This brochure holder is wall mountable (hooks not included) and free standing - all in one! 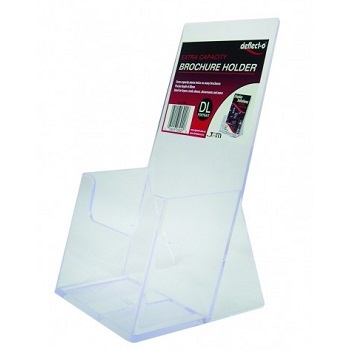 Display your brochures unobtrusively using this single tier DL size, recycled plastic brochure holder. Attractive black, curve design enhances your brochure display. Constructed of over 60% recycled plastic. Free standing or wall mountable. 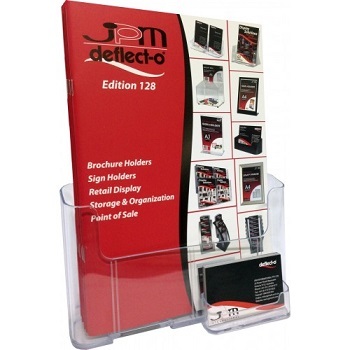 Create an all-in-one display with a DL size brochure holder and business card holder combo. Constructed of durable clear durable polystyrene plastic. Desk stand or wall mountable. Size: DL Single Tier with Business Card Holder. Extra capacity allows for twice as many brochure holders to be contained. 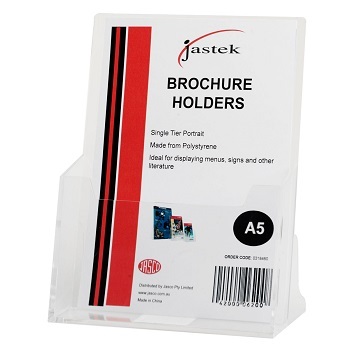 Quality Single Tier A5 Brochure Holder. 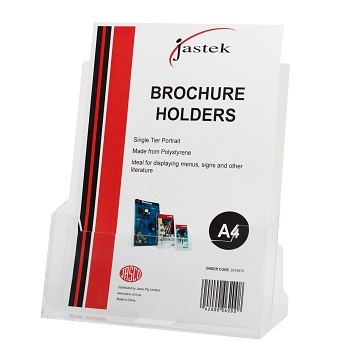 Quality Single Tier A4 Brochure Holder. 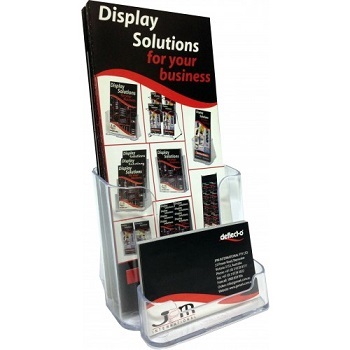 Create an all-in-one display with a A4 size brochure holder and business card holder combo. Size: A4 Single Tier with Business Card Holder. 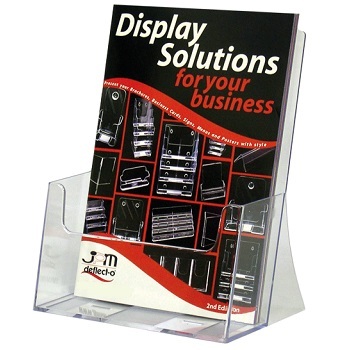 Display your brochures unobtrusively using this single tier A4 size, recycled plastic brochure holder. Extra capacity allows for twice as many A4 brochures to be contained.